Accountancy firm Grant Thornton has appointed Paul Holland as an assurance director for the South West region. Paul, pictured, joins with more than 20 years’ experience across financial auditing. He was most recently head of UK sustainability services at rival KPMG, where he worked for more than eight years. 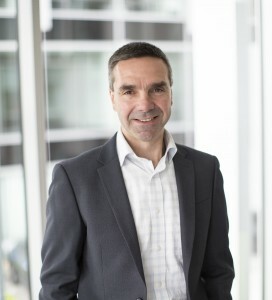 At Grant Thornton, he will be working broadly across mainstream financial auditing, including helping sustainability focussed and purpose-led businesses to unlock their potential growth – an area that can be a challenge as reporting on sustainability and other non-financial matters is often difficult to measure. Paul’s experience and unique knowledge enhances Grant Thornton’s wider non-financial assurance offering. Paul spent most of his career working primarily on mid-market financial audits, but since a sustainability focused secondment 10 years ago with the Prince of Wales, he has spent much of his time providing organisations with sustainability measurement, reporting and assurance services. Having worked across a broad range of sectors including financial services, retail and consumer markets, telecoms, construction, real estate and manufacturing, Paul has worked with some of the UK’s largest companies such as Tesco, John Lewis, and Vodafone. In his new role at Grant Thornton he will continue to be at the forefront of non-financial measurement, reporting and assurance, and working with leading businesses in this area. He is also looking forward to extending the sustainability and non-financial focus beyond FTSE 100 companies and toward mid-market firms and SMEs. Paul said: “After two decades within the ‘big four’, moving to Grant Thornton is a great new challenge. A wide range of stakeholders are putting more and more pressure on organisations to improve on their sustainability and wider non-financial performance, to report publicly on their strategy and results, and to obtain independent assurance over their reports and data.